She looked at her phone. Looked at me. Looked at her phone and then looked up again. “This girl looks exact like you,” she said. 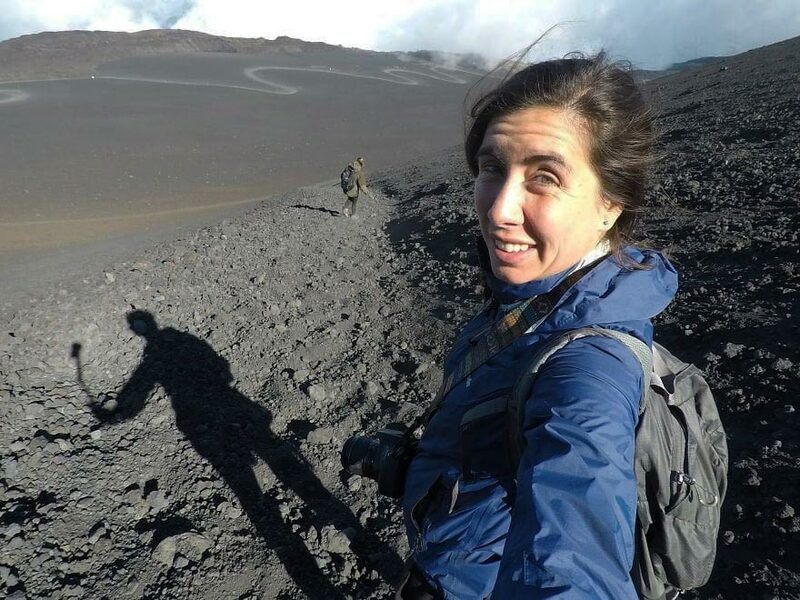 When I lost my GoPro climbing Mount Etna on Sicily a month ago, I thought I’d never see it again. I could have sworn I put it back in my bag after snapping some photos near the summit of the active volcano, some 2,900 metres high. But when I returned to my accommodation close to Catania, I emptied my pack and couldn’t find it anywhere. I was on this day trip to Etna with two new friends, Renske from Holland and Thomas from Denmark. By the time I realized my camera was lost, it was already dark out. Although I’d met Renske just two days before, she offered to take me back the next day. “I can’t make you go back there again,” I said. 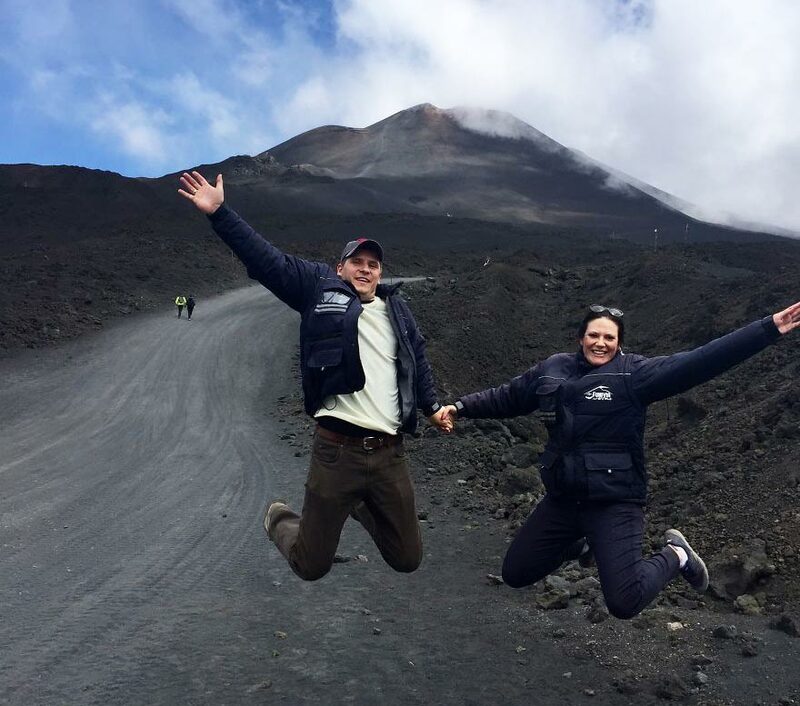 Who would want to climb Etna twice in two days? And so, driven by her persuasion (and kindness) and the worrying thought of losing all those photos from my travels, I took her up on the offer. 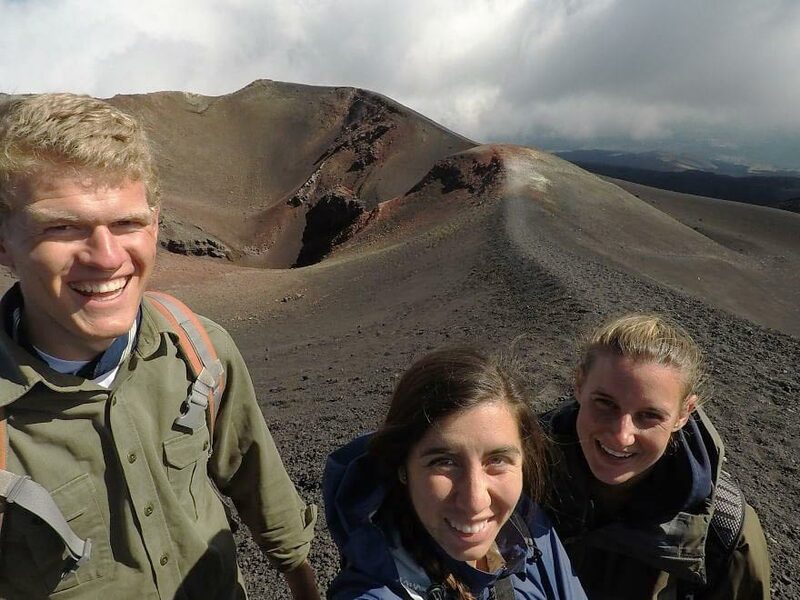 From left to right: Thomas, Carla and Renske during their first trip to Mount Etna. The next day we were back on Etna and started climbing again, trying to remember the exact path we’d taken, feeling our knees buckling with the second strenuous hike in as many days. We hitched a ride up from a helpful stranger, then got washed out by fog and lost our way; finally, somehow, we reached the point close to the summit where I remember taking my last photo. But we didn’t have any luck. We hiked down again, keeping a close eye on the ground. The whole time Renske was there with me, helping me look for the camera. It’s incredible how someone I’d just met a few days ago was helping me on this crazy adventure. After scouring the path, we asked some volcano guides and attendants at the information desk, the cable car office and a local hotel at the base—no one had seen it. Someone even laughed: “A GoPro? There’s no way you’ll ever find it.” I wasn’t sure if he meant someone would have taken it or the terrain was too tough to see it; either way, my hope just fizzled out. 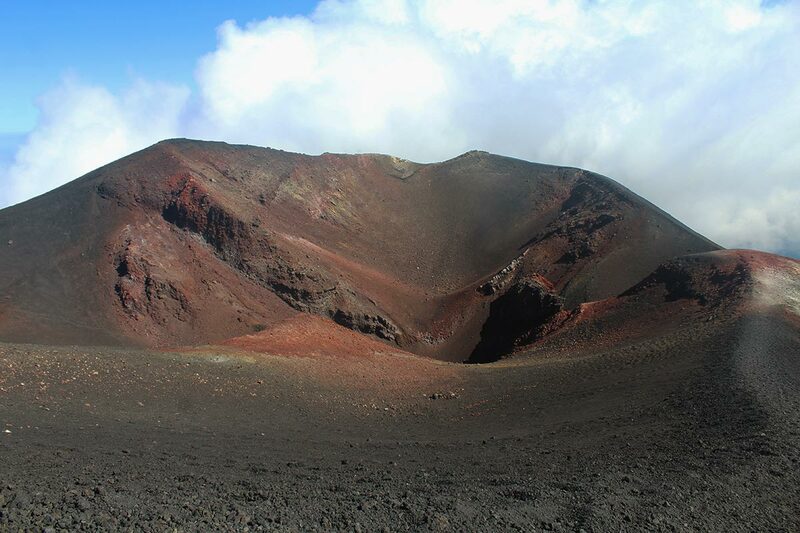 Mount Etna is one of the most popular active volcanoes in Europe. So you can imagine my surprise when, a month later, I saw a photo of myself staring back at me from a phone screen in that hostel kitchen. Here’s what happened: shortly after I dropped the camera, a newlywed couple from Lithuania found it. They carried it with them down the volcano. They thought about leaving it at the information desk, but figured they’d have a better chance of finding me online. And they were right. The post on Bored Panda wound up getting viewed more than 31,000 times (as of publication), and Italy’s biggest newspaper, La Repubblica, also ran a story on it to try and find me, which was shared nearly 1,000 times. A few days later, the Italian Huffington Post picked up the story, too. Within 24 hours, besides the girl at the hostel, two other friends from France and Italy messaged me, both recognizing me from the photos. I’ve since been in contact with the Lithuanian couple, Julius and Neringa, who are back home from their honeymoon in Sicily. They spent hours yesterday uploading all my photos and files for me, so I could download them for work and peace of mind. When I asked them to let me know how much shipping the camera would cost so I could reimburse them, they told me “it’s out of the question” and that they would take care of it. Julius and Neringa, saviours of the GoPro. “The best reward is to get you your camera back safely,” they said. “Just send us a postcard or buy us a coffee some day.” They had a wonderful trip to Sicily, they said, and saving my camera would be the “cherry on top.” They even invited me to visit them in Lithuania and taste some of their home-brewed beer—a plan I would love to take them up on. Moments like this remind me that there are kind and honest people out there. Travelling can be difficult—especially when major problems seemingly set you back a few hundred dollars—but what makes it all worth it is crossing paths with amazing new people, like Julius, Neringa, Renske and the many others I’ve been fortunate enough to meet. As luck would have it, not only do I have my photos back, but also some renewed faith in humanity—and a couple new friends in Lithuania. Ačiū draugai! P.S. The moral of the story? Don’t forget to back up your photos and label your stuff!